NOTE: This is a work in progress page and a number of links will not work ... alot of the information here is only guess work. ___They moved to Ireland 1690 (with William of Orange ) to Corlea county, Tyrone. ___A son of the Earl of Buchen took the surname Lendrum. _____________(Derived from the place where he lived in north eastern Aberdeenshire). *SO ARE THESE LENDRUMS OUR FIRST ANCESTORS? Putting together information from other Lendrum family connections, gathering names, places, dates: reading books from libraries, government departments (Archway Records) family web-pages online and joining the New Zealand Society of Genealogists - has helped to reach this understanding. Yet still unsure if the parents of Lendrums who came to New Zealand are connected to the following Lendrum families? Family research [info] tells us, a Mrs. Lendrum (Senior), mother to Andrew and maybe a brother John were living near Fivemiletown (No mention of husband) could be living with uncles and aunties - Fleming, Brown and Wilson. Andrew [C] and Mary had children: son Andrew (Jr) (C1) stayed in Ireland - Robert [C2] and George (Cousin) [C4] left for New Zealand in 1862 and started our lineage. The maps of Northern Ireland show it has six counties, (Derry) Londondery,Antrim, Tyrone, Fermanagh, Armagh and Down . Each county is divided intoTown-lands,Parishes (Suburbs). Nice to hear from you, I enjoyed your website, it is very interesting, there is certainly a lot of information regarding the Lendrums on it, more than I knew. I was Lendrum before I married and I am originally from Fivemiletown, now living about 25 miles from it. I am not sure if we are related, but may be as it is not that common a name, I will see what information I can find out. 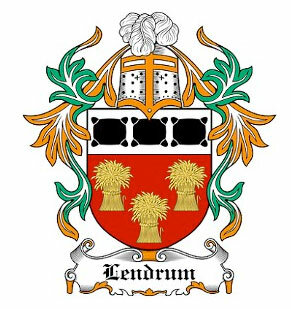 The James Lendrum that I am desended from lived on a farm which is about 2 miles from Fivemiletown, and my uncles still live there. 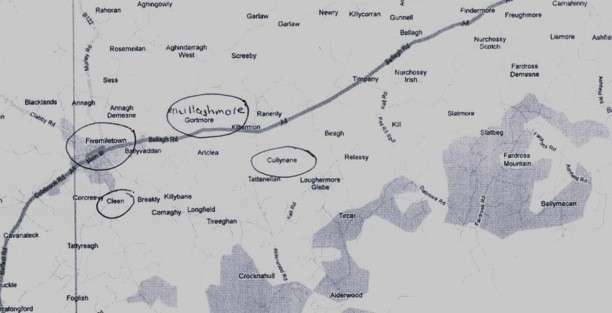 I know the area's that listed for the other Lendrum's they are about 1 to 2 miles from Fivemiletown, Cullane, Broomhill, Gortmore, Mullaghmore are all adjoining, each other. There is a nice large house at Broomhill which my dad thinks was built by Lendrum's not sure about this. My mother has access to St John's Church in Fivemiletown and I will check with her regarding Andrew. My dad also said that Andrew Lendrum founded an Orange lodge, which is called Lendrum's Temperance True Blues, he is actually in it. I want to get access to the church records at Clogher, which is 6 miles from Fivemiletown, it was the first church in the area, St John's was built in late 1700's so the link may be there. When I get time I will try and do this. I will also forward our family tree. We know Andrew (Jr) was born in 1828 [info] assume his parents were married the year before - working on the assumption, Andrew (the father) was 30 when he married - his birth date would circa 1797. Andrew Living in Mullaghmore, near Cullenane and Fivemiletown, in parish Clogher, county Tyrone. [FG) In Northern Ireland for over three hundred years linen manufacture has been an important industry, particularly in the 18th and 19th centuries. Practically every town and village had a mill or a factory. 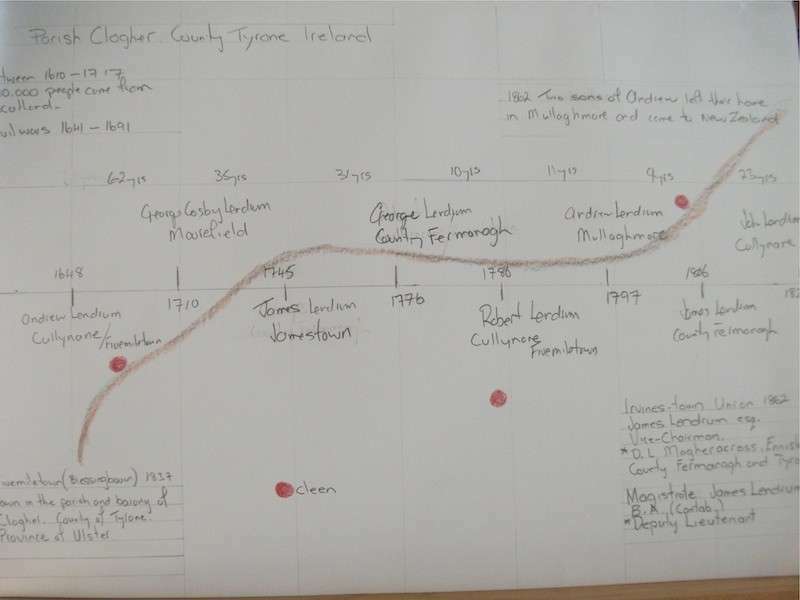 A document shows that in 1796 - a James and Andrew Lendrum of Clogher and Dromore parishes in county Tyrone, were Flax growers.